Penned by award-winning Canadian novelist and journalist Lawrence Hill, The Deserter’s Tale tells the story of a man who went into the war believing unquestioningly in his government and who was transformed into a person who ethically, morally, and physically could no longer serve his country. 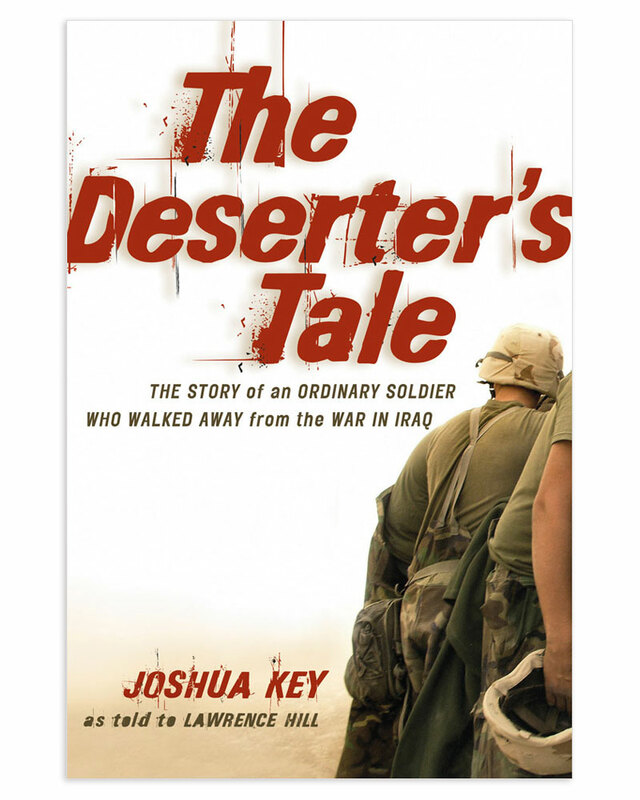 In this first-ever memoir from a young US soldier who participated for eight months in the war in Iraq and then fled to Canada, Joshua Key offers a vivid and damning indictment of how the war was waged. I know that many Americans have their minds made up about people like me. They think we are cowards who just couldn’t take it. I don’t blame them. I had my own mind made up about war deserters long before I set foot in Iraq. But I know right from wrong. I had a conscience by the age of six. I had to suspend it for a while in Iraq. Soldiers are taught that it is “Army first, God second, and family third.” I am not a coward and I never flinched from danger. The easiest thing would have been to keep on doing what I was told to do. Ever so slowly, as the jets raced and the illumination rounds burned and the houses fell during the long Iraqi nights, my conscience returned. It could no longer be Army first, God second, and family third. It had to be the tiny voice inside me that would not sleep any longer. I am not this man, I told myself. I cannot do these things any longer.